Ann Haynes-Sutton and her team of associates can provide consulting services in a wide range of activities and subject areas, including ecological assessment and biodiversity monitoring, participatory planning, protected areas management planning, interpretation, environmental education, eco-tourism development and project development. Some examples of her areas of interest are shown below. Recent projects have included leading a team to assess the biodiversity of Peckham Woods in Upper Clarendon and surveys of birds in the Central Reserve of Portland Bight. Ann is the Chair of the Monitoring Working Group for BirdsCaribbean and is working on developing Caribbean BirdWatch - a comprehensive guide to monitoring birds in the region. Team lead for preparation of a management plan for the Portland Bight Protected Area and a sub-area plan for Portland Ridge, management plans for the 3 Portland Bight Special Fisheries Conservation Areas. Interpretation: the 1980s Ann helped to design and build the first wetland interpretation for Jamaica at Canoe Valley, S. Manchester. More recently she developed the Interpretation materials for the Robert L. Sutton hide at the Portland Bight Discovery Centre and is working on the interpretation for the main building. 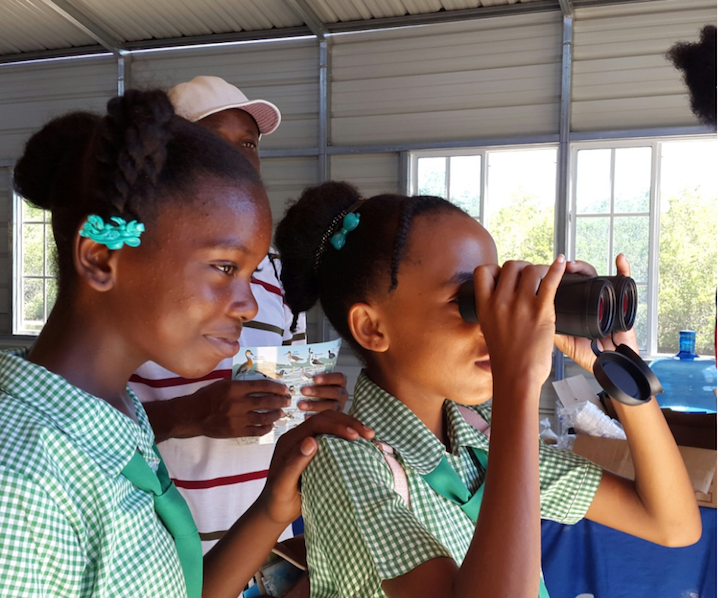 Conservation Education: As lead author for "Wondrous West Indian Wetlands: A Teachers' Guide" (produced by BirdsCaribbean) Ann has extensive experience in the design, development and implementation of conservation education programmes. All text and images are copyrighted to Ann Sutton and may not be reproduced in any form without permission.